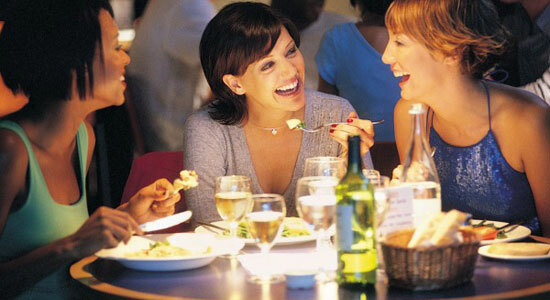 Communication is the key ingredient to every successful gluten-free restaurant meal. 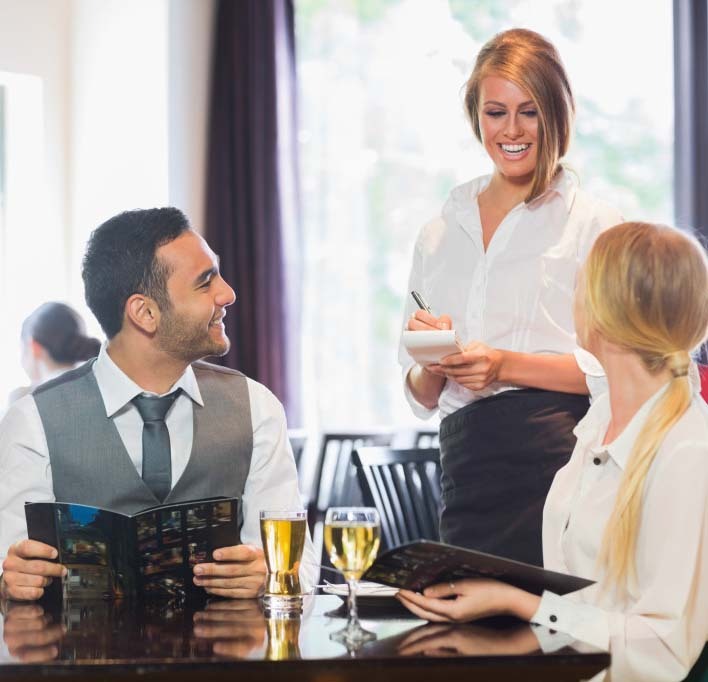 When diners, chefs and servers are able to collaborate on what is required and what can be reasonably delivered, there is cause for celebration! The following is a list of suggested questions to help Start the Conversation on Celiac-Friendly Dining©. In very short order, the responses you receive will allow you to gage any given restaurant’s degree of gluten awareness – and willingness. For the very best outcome, call ahead or take your host or server aside before ordering. NOTE: Restaurants that have carefully researched how to serve us love going into detail. If your questions are met with impatience and exasperation – go with your gut. When restaurants get gluten free right, reward them generously! Please tell me about the meals you recommend to diners who need to eat gluten free? What ingredients will be used to make my order? How do staff know whether ingredients are really gluten free? Checked with The Celiac Scene? The CCA? Will pure spices, prepared seasonings or soy sauce made from wheat be used to make my meal? What other food items are cooked in the oil that ‘gluten-free’ items are cooked in? How are sauces and dressings thickened? How will my server communicate with the kitchen that a gluten-free order has been placed? How are gluten-free orders prepared in relation to the regular flow of the kitchen? 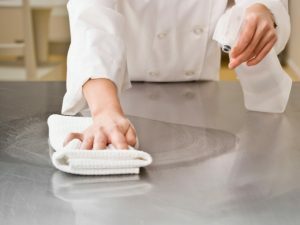 Will staff wash their hands / change gloves / change aprons clean surfaces before preparing my order? How do staff ensure that all utensils used in preparing my food are free from any trace of gluten? Separate or scrubbed frying pan? Griddle scrubbed? Aluminum foil barrier? Dedicated pots? Dedicated colanders? What other precautions do staff take to minimize / prevent cross contamination? How will my server confirm with the kitchen that the order they are collecting has been prepared gluten free? How will my server confirm that the order they are delivering to me is gluten free? How did the restaurant learn how to meet the needs of gluten-free diners? Through The Celiac Scene? Canadian Celiac Association? Registered dietitian? Local health authority? Staff members with celiac disease? The risk of cross contamination with airborne gluten flour is HIGH. Partake only if strict protocols are in place to protect your safety. 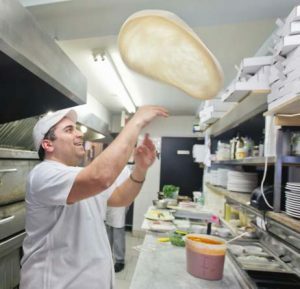 Are ‘gluten-free’ crusts prepared on-site? During regular operations? Before regular production? During downtimes / days? See questions in Ingredient section above. Are pre-made ‘gluten-free’ crusts purchased from a dedicated gluten-free manufacturer? Who is the manufacturer? How are gluten-free sauces and toppings prepared? How do staff ensure that all utensils used in preparing gluten-free orders are free of any trace of gluten? How are utensils, crusts, sauces and toppings protected from cross-contamination with gluten while waiting to be used? If the prospect of grilling restaurants about their gluten-free friendliness feels intimidating, you’ve got options! Visit The Celiac Scene for restaurants that enjoy an excellent reputation within Victoria and Vancouver Island’s celiac community. Join Victoria’s Gluten-Free Foodies to dine with a gluten-free group at carefully vetted restaurants. With more than 100 Meet-Ups under our belts, choose from a huge inventory of tried and tested celiac-friendly restaurants.